The last couple of months, I was working on the online version of my Lace Design Class. I was hoping to get it published before Valentine's Day and I am happy to say, it is available now. 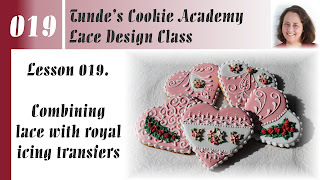 Before you start this class, make sure you know how to bake my two recipes, use egg wash, make royal icing and master the icing consistencies. 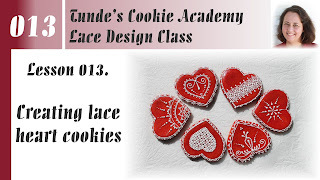 You can learn these from the Cookie Academy Basics class. This class works best with my book Cookie Academy 1 - Lace Design. This class has 9 lessons. You can buy individual lessons or the whole class. 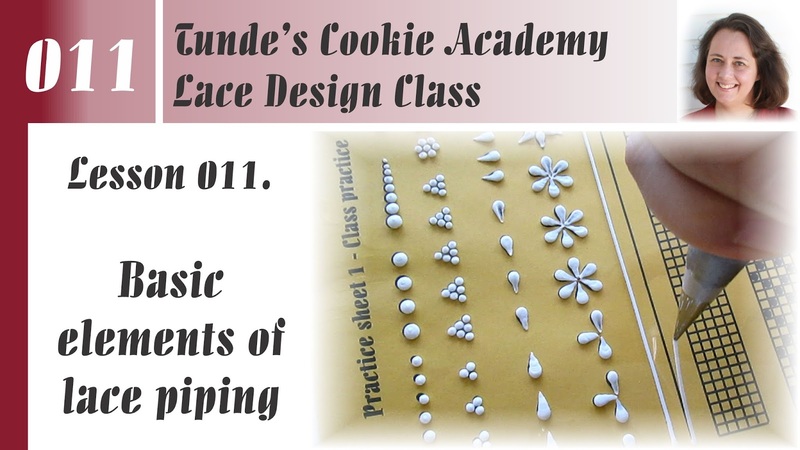 The first lesson teaches the four basic elements of lace piping and it gives you a strong foundation. The second lesson will teach how to combine the basic elements. 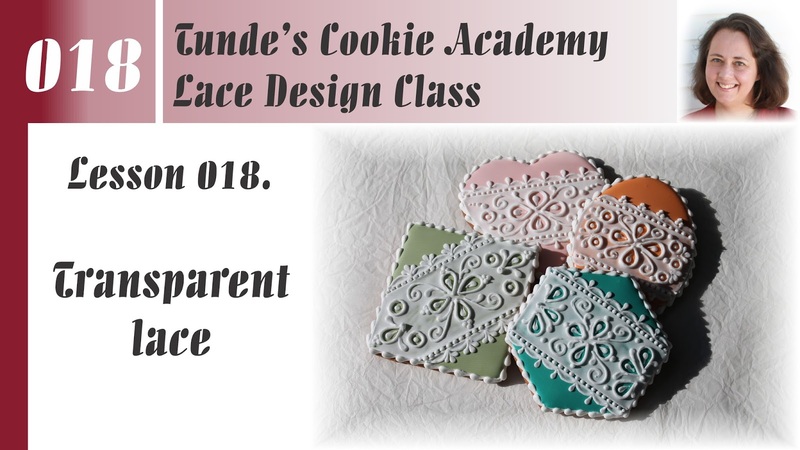 The first two lessons give you a strong base to create beautiful lace cookies. 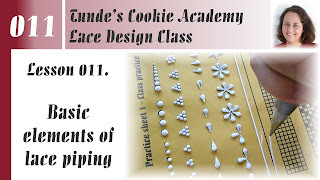 The next 3 lessons will give you guidelines on how to build up a design for different shapes. 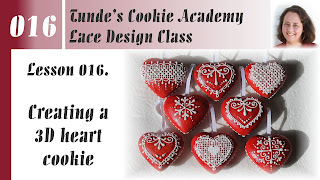 Lesson 3 will walk you through different designs for heart shape. Heart is the most traditional gingerbread shape (yes, even more traditional than gingerbread man). 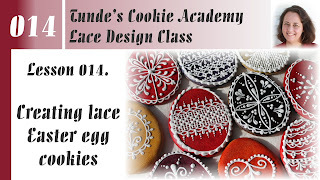 Lesson 4 will walk you through 10 different Easter egg designs. You will be able to adapt these ideas for your other designs too, like for round shapes. 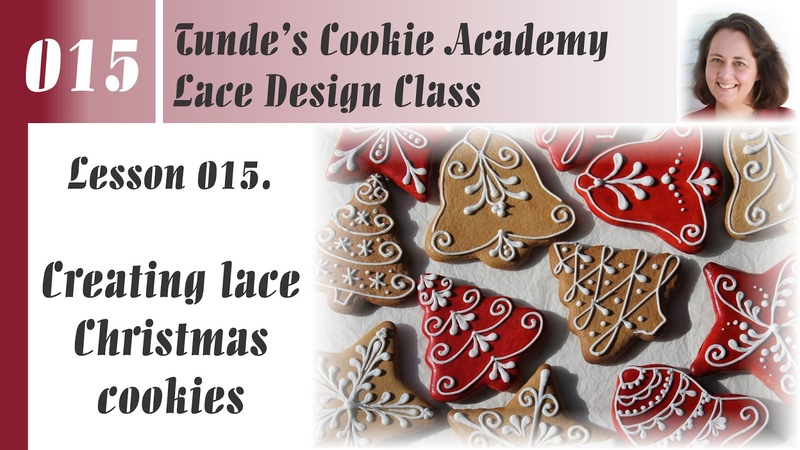 Lesson 5 will walk you through a set of Christmas cookies. They would make beautiful edible ornaments for you Christmas tree. 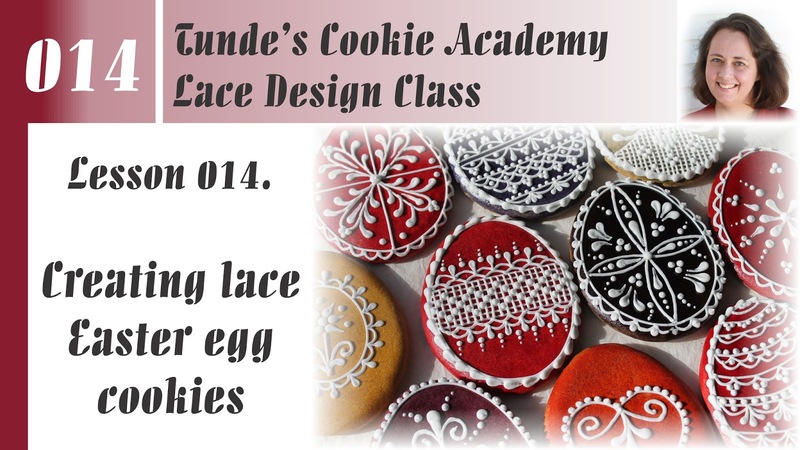 The next four lessons are giving you ideas on how to combine lace with other elements, how to get creative with lace design. 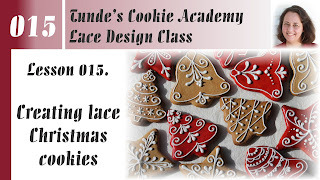 Lesson 6 will show you how to make 3D gingerbread hearts. 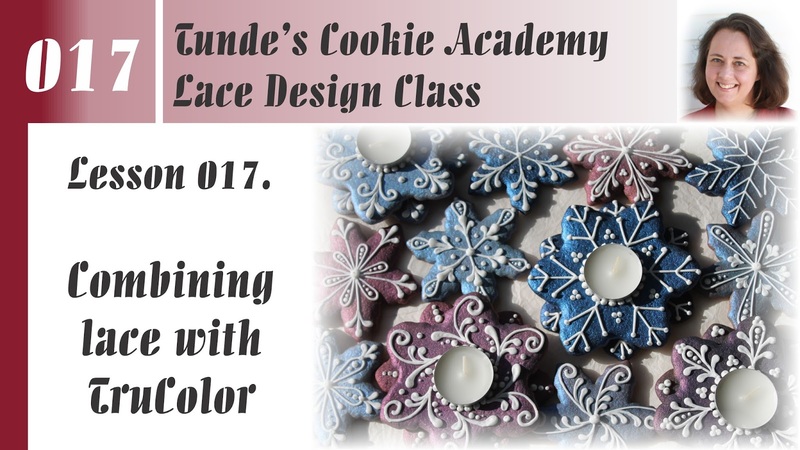 Lesson 7 will combine TruColor Airbrus shine color with lace design. 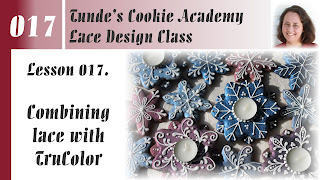 The snowflake projects will nicely complement your Christmas cookies. 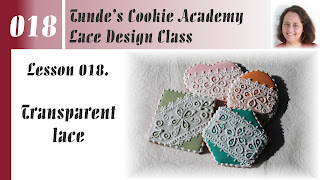 Lesson 8 will show you how to create this transparent lace. 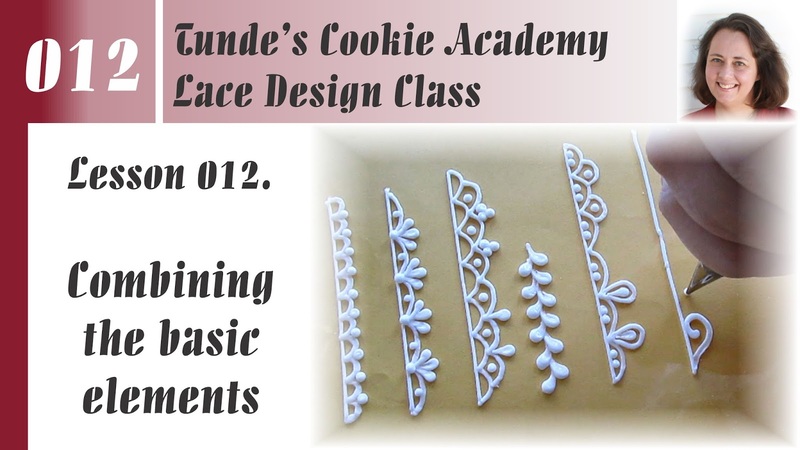 Lesson 9 will combine royal icing flowers with lace design. 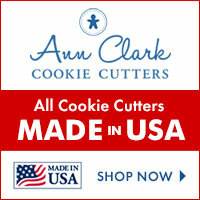 This combination is awesome for wedding cookies, birthdays, Mother's day and a lot more occasion. I love to combine lace with flowers. 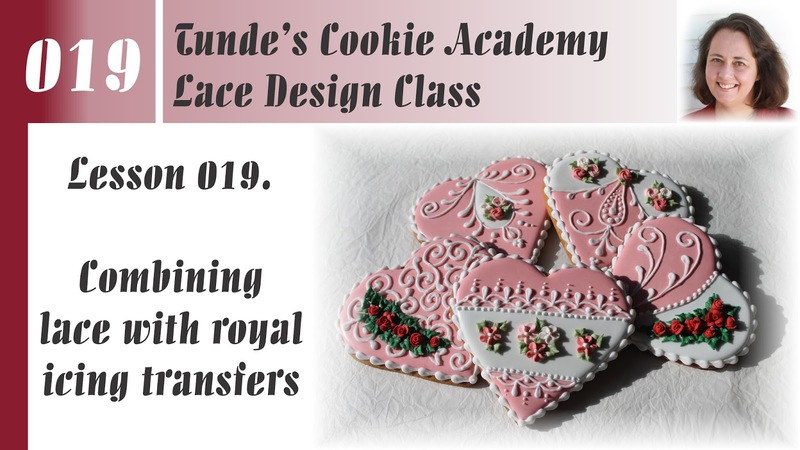 I also plan to make a royal icing transfer class later. I hope you will enjoy the class. 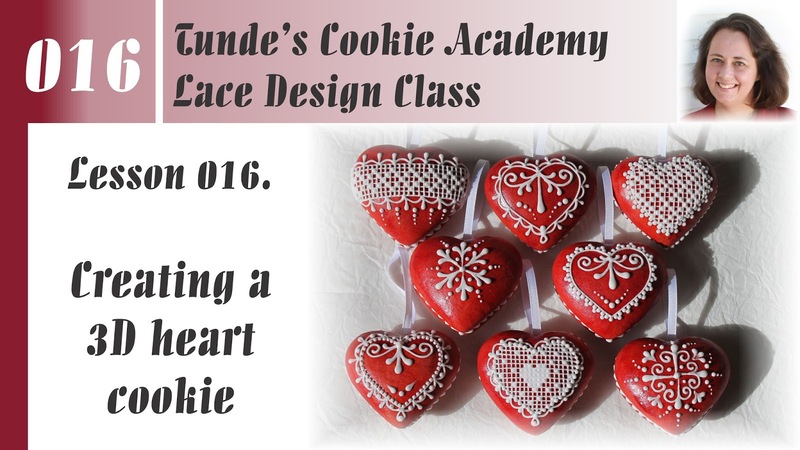 If you purchase this class, don't forget to join the Facebook group Cookie Academy Online, where you can share your work and ask questions. 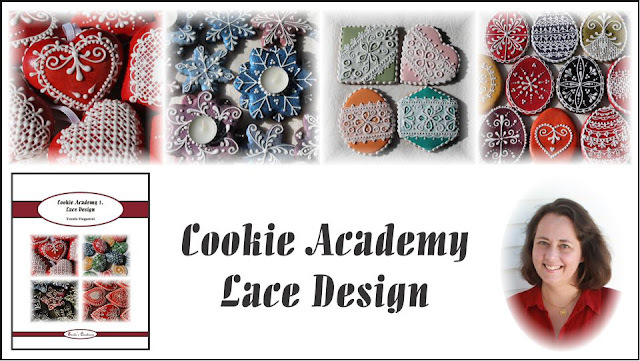 Check out my other online classes too!